You’ve got your ticket, directions punched into your SatNav and a shopping list of your dream antique items mentally stored in your head. If you’re heading to your very first antiques fair that’s about all your need, isn’t it? Isn’t it…? We asked some of the UK’s leading fair organisers to give their insider tips and share a few trade secrets about how to make sure you get the best out of your antique hunting trips. 1) Don’t think too long and too hard when you find something you really want – others will think the same. 2) A fair always offers surprises, whether its a grand London occasion or a minor village hall. Never overlook anywhere! 4) Talk to specialist exhibitors and leave them with a list of things you really want and a price cap if necessary – they’ll cover so much more ground in a few weeks than most collectors. 5) Fairs are competitive environments. Remember, if you’ve spotted something you really want, don’t leave it long – others will want it too! 6) Look to see if the Fair is ‘vetted’ or checked by experts, to ensure authenticity which provides an extra layer of reassurance when buying. 7) What looks expensive today may look very affordable in 10 years time. i.e. ‘If only I’d bought that ten years ago’. 8) Fairs are also about decor – you’ll find plenty of inspiration for interior styles and period design on many stands. 9) These days exhibitors will usually let you take quick photographs of items you like. It’s worth remembering an item you might want to buy later. 10) Visiting fairs gives you a vast choice as you will find lots of individual specialists under one roof. This means you can compare prices, and also get inspiration from the dealers’ displays. Nowadays, contemporary items are shown alongside 17th century objects, and you may well see a combination to enhance your home that you wouldn’t otherwise have considered. 11) Most exhibitors will be happy for you to try a painting, a piece of furniture or a carpet before you commit to buying it and the level of personal service you can expect is very high. Many visitors have become regular customers of exhibitors, even personal friends, since they feel comfortable doing business with the same dealers once they have settled on their first purchase. This goes for smaller items such as jewellery and silver as well as for bigger objects. Fairs offer a spirit of camaraderie and enjoyment which is hard to replicate. 12) Browsing in an environment where lots of quality stock is on display is always pleasurable and gives an involvement that looking at items on-line cannot compete with. Exhibitors are knowledgeable and happy to share their expertise, so you can learn a lot during a day out at a fair. You may also spot the odd celebrity and chat to like-minded people over lunch. 13) Take Cash with you to the fair – Cash is king at most fairs and markets and always will be, so come prepared. Some events will have cash points or a Bureau de Change at them but this isn’t always the case. If your budget is a concern, set one before you go to the fair, it will ensure you don’t go over whatever limit you’ve set yourself. Remember you can barter over prices but try not to be too cheeky as the stallholders are trying to make a living too. 14) Interact with the dealers. Don’e be afraid to talk to the antique dealers and stallholders about what you are interested in and looking for. They are experts and may be able to help you locate or source something specific that you are hunting for, they may also be able to guide you on what you should expect to pay for specific antiques or items. 15) Do your research. If you’re on the hunt for something specific, try to do as much research as possible before you attend the fair. For example, of you’re looking for an item of silver, try to learn about hallmarks. 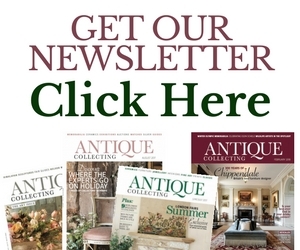 You can find information on antique websites, like LoveAntiques.com and keep an eye for articles about the latest trends. 16) On the practical front, at an outdoor fair always wear comfortable and stout walking shoes because you may be walking quite a distance between stalls on your hunt. 17) Have small denominations of the local currency so that when it comes to haggling you won’t look too flush! 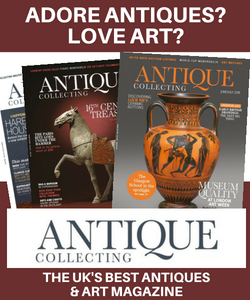 18) Think about taking out a subscription to Antique Collecting to keep up with all the latest market news and interviews with trade professionals. 19) Plan the fairs and events you will attend over the coming months by using Antique Collecting‘s Fairs & Events calendar. 20) Have a clearly defined set limit to how much you are prepared to pay for an item. 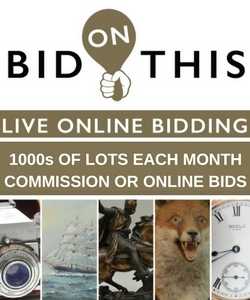 Rather like an auction, stick to your budget and don’t get carried away and end up paying over the odds. 21) Be brave, don’t buy to follow fashion, follow your own likes and tastes. Invariably, they will work well in your home environment because they are pleasing to you, not what others dictate. 22) Whether you paid a few pounds or several thousand, money spent on something truly unique will maintain a value much better than a brand new item that is worthless as soon as it leaves the shop. 23) If you like a piece of upholstered furniture but the colour or textile is not to your choice, don’t be afraid to ask the dealer if they will consider re-covering within the asking price – if it’s a valuable piece, they often will. Dealers really don’t want to sell you something you won’t enjoy. 24) If you are collecting in fairly up-and-coming areas, for example Scandinavian ceramics or glass, choose major factories over minor ones, as their work will always be in demand. 25) It is often preferable to buy items in their original state as they retain better value, unless you are simply going for a certain ‘look’. Decide before you buy which you intend to do. For example, painted furniture retaining its original paint finish carries a higher price tag than a utility piece that has been painted again over the years. @Eddintheclouds At larger fairs get a site map and mark it with things you like and also buy to collect later… it’s so easy to forget where! Try to go round at least twice. First time to spot the obvious gems, second more relaxed to unearth the extra hidden gems. If you’ve got more suggestions about how to make the most out of visits to antique and vintage fairs or want to share your experiences, we’d love to hear about them in the comments below.